Krystelle broke her p.b. on Alberts Lake with a carp of 26lbs. James had a lovely one of 41lbs after having it on for thirty minutes, on a red crab boilie from swim three. Lee caught most the fish including carp of 32lb 34lb 36lb on sv1 pop ups from CG baits on swim five on Alberts lake. In total the group landed seventeen carp during there stay. We look forwaerd to seeing them again in June. 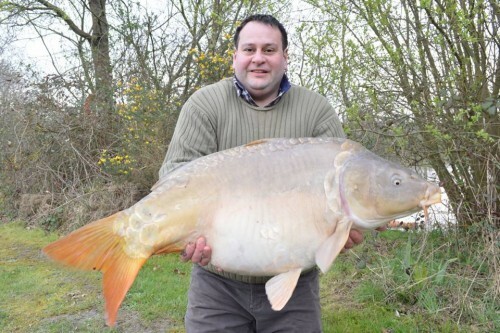 Early March we have spent a week at Lac De Viennay Busters Lake. Although the weather conditions weren't making it easy to catch carp we have had a wonderful fishing trip! It was freezing during the nights and in the daytime temperatures rose to a staggering 18 degrees. The carps weren't feeding a lot as the water temperature was still very low, but we managed to catch a few nice once up to 18 kg. 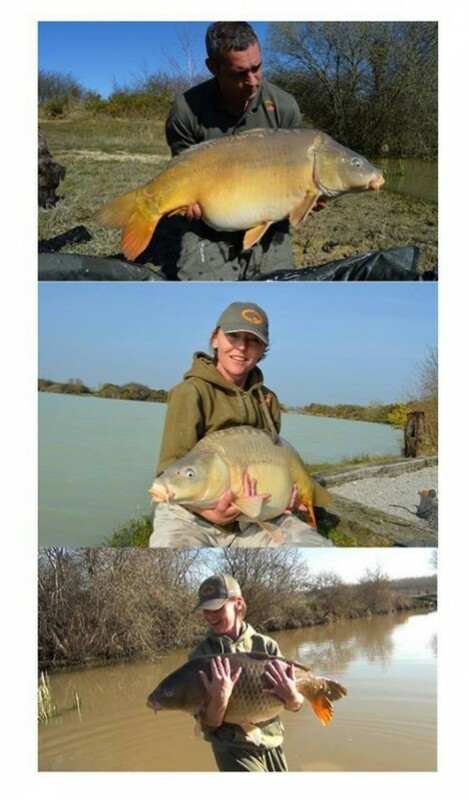 With its beautiful surroundings booked as nature reserve complete with some special species of birds and plants, coypus, wild boars, lizards and an occasional snake, Lac the Viennay is also a pleasure to retreat at while catching carp. Both owners Gerard and Adam will make you feel very welcome and we could ask them for anything. Gerard can always be found around Albert’s or Buster’s and is very helpful l should you have any questions or requirements. "Dear Adam and Gerald, we will certainly be back for our revenge on your bigger carp and the catfish, and if we won’t succeed, we will enjoy our stay anyway because of your hospitality. Thanks again!"